The Traditional Latin Mass or “extraordinary form” of the Mass is offered according to the expressed wishes of Pope Benedict XVI, with the official approval of the Diocese of Altoona-Johnstown and of St. Vincent Archabbey. This is the rite of Mass as promulgated by Pope Saint John XXIII in 1962, although the rite as a whole is very ancient, with the most essential parts in use before the time of Pope Saint Gregory the Great (d. 604). The Extraordinary Form is the heritage of all Catholics of the Roman Rite, a spiritual treasure which developed organically over the course of centuries! For an explanation of various features of the rite, you may be interested in this short, informative article, provided by Queen of Peace Parish in Patton. The Mass is currently offered at Saint John the Evangelist Church in Bellefonte once a month, by Fr. 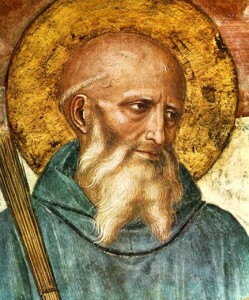 Cyprian Constantine, O.S.B., a monk of St. Vincent Archabbey. Unless otherwise announced, the Mass is scheduled for 7pm on the first Saturday evening of each month, and it does satisfy the Sunday obligation. For directions to the church, please see the main parish website. 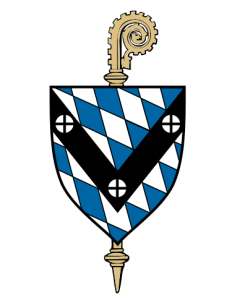 The Centre County Latin Mass is organized by the State College Latin Mass Society. Please contact us for more information! The music for the Mass is provided by the Saint Benedict Schola Cantorum. Since 2008, we have sung Gregorian chant and other sacred music at multiple parishes throughout the Diocese, in Masses of both the Ordinary and Extraordinary Forms and in the Byzantine Divine Liturgy. The Centre County Latin Mass began on January 5, 2013, in response to a request by some fifty families of Our Lady of Victory Parish in State College, with the generous support of our pastor, Monsignor David Lockard. In February 2016, upon the decision of Bishop Mark Bartchak, the Latin Mass was moved to Saint John the Evangelist Church in Bellefonte, with the gracious welcome of the pastor Fr. George Jakopac. You can subscribe to our email announcement list here! 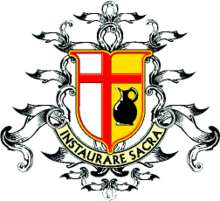 One very useful resource to learn about the Extraordinary Form is the website Sancta Missa, run by the Canons Regular of St. John Cantius in Chicago. This site contains vast quantities of information for all interested parties, including lay people, priests, musicians, and servers! You can read tutorials or papal documents, see photos and videos, or download full-length books. The sacred liturgy helps us to pray with the mind of the Church, and, in particular, to follow her spirituality throughout the different seasons of the Liturgical Year. Here are some reflections for every Sunday of the Church’s year!